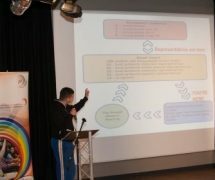 On Thursday 19th April 2013, myself and a number of Wicid editorial members attended the annual Rhondda Cynon Taf Services for Young People, Youth Participation Conference at the Coleg Morgannwg campus in Nantgarw. 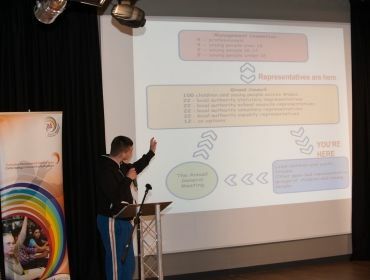 The theme of this year’s conference was ‘Being Treated Fairly and Equally’. 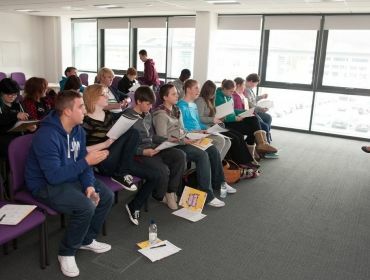 A number of young people from all over different youth forums such as Ferndale, Bryncellynog and Tonypandy. The day started off with a networking session where young people could talk to other young people from other Rhondda Cynon Taf youth forums and get to know each other. 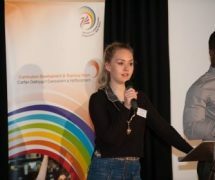 We then had an introduction in the auditorium off the Youth Mayor, Jenna Claridge, and the Deputy Youth Mayor, Sam Akintioye, who told us what was going to happen throughout the day and how the day was going to run, and also tell us a bit about their role as Youth Mayor and Deputy Youth Mayor. After the introductions, we set off to film the workshops that were taking place on the first part of the day. 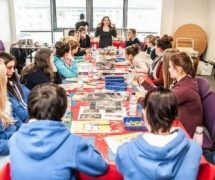 The workshops were delivered by Rhondda Cynon Taf Services For Young People staff and outside companies such as Spectacle Theatre. 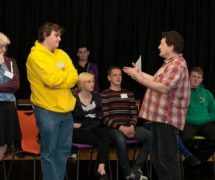 The workshop that caught my attention was the ‘Being Treated Equally and Fairly’ workshop which was run by Spectacle Theatre. 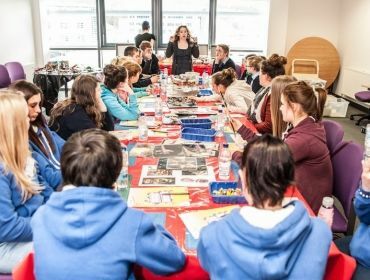 In the workshop, the young people were split up into groups and were given 3 pictures per group and they had to look at the pictures and decide as a group if the people in the pictures could be seen to be gay, heterosexual, lesbian or bisexual. After the first lot of workshops it was time for lunch – which was delicious. A massive thank you to the college canteen staff for a lovely lunch. After lunch, we set back off to the main room for a short talk with Jenna and Sam. 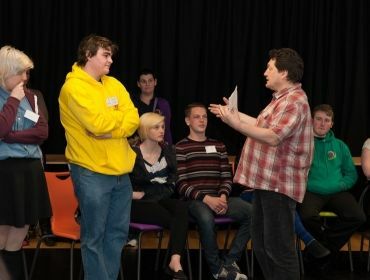 Shortly after the talk, all the young people went off again to the workshops. After the final set of workshops, we all took our seats for the final part of the conference. We witnessed a speech from Jenna telling us what she has done as Youth Mayor over the last year and what events she has been to and how it has helped her in being the Youth Mayor, then she passed over to Sam who also told us what he has done as Deputy Youth Mayor over the last year. 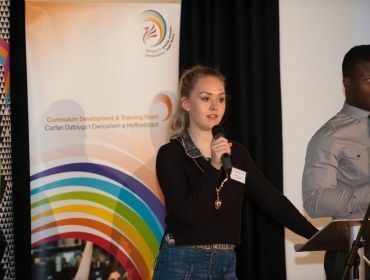 Once Jenna and Sam finished their speeches it was time for the applicants who were vying for the new Deputy Youth Mayor role to make their speeches, hoping they would become the new Deputy Youth Mayor of Rhondda Cynon Taff. 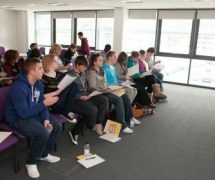 The applicants were: Martyn David, Scott Lewis, Amy O’Callaghan, Marco Griffiths and Lauren Crawford. The applicants all put a lot of hard work into writing their speeches and getting up there to speak in front of all the young people. After they all made their speeches the young people in the room voted for who they thought would be a good and worthy Deputy Youth Mayor. While the staff took the votes and counted them, the Wicid gang thought it was time for a little break so we told the young people what we were going to do…the Harlem Shake. Every person in the room joined in and it was a brilliant laugh especially when all the youth workers joined in. The video can be found on our Youtube channel soon, just by clicking on our YouTube tab at the bottom of the page. It was then decision time to find out who had been voted the new Deputy Youth Mayor, who was revealed as Wicid‘s very own Sub-Editor, Martyn David. Overall, I would like to say a massive well done to Jenna Claridge who has done a brilliant job as Youth Mayor over the last year and Sam Akintioye who has been fabulous as the Deputy Youth Mayor over the last year, and will – without doubt – do a great job as Youth Mayor once he comes into post. Also, well done to all Deputy Youth Mayor candidates. Hope to see you all at the next conference.